Andrea’s schedule is full! At this time she will not be accepting new clients. Thank you for your support Missoula. 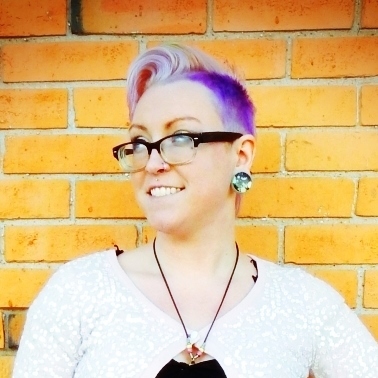 Andrea Caffrey is the owner of Canvas Studios and strives to make positive things happen everywhere she goes. 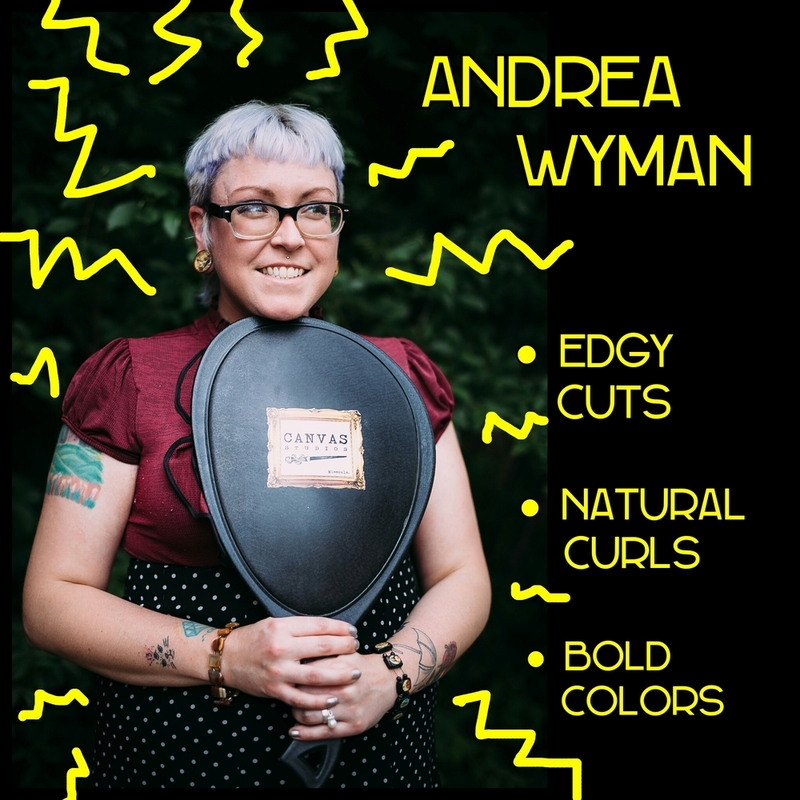 Whether you're looking for seamless balayage, creative color, or free hand hair cutting, your time with Andrea is always a warm and fun experience. Her design aesthetic is edgy and innovative. A passion for the art of hair ensure you are getting exactly what you are looking for. Her 2016 and 2018 win of "the Best of Missoula" keep this girl in high demand. Bang Trim/Neck Trim - A complimentary bang/neck trim in-between haircuts to keep you looking fresh. Haircut- $55 - Full Haircut Includes New Wash experience, Individual Customization, and a Finished Style. Trim - $35- Two Inches Or Less, Comes with Wash.
Dry Cut - $45- Heavily Detailed Dry Haircut. No Wash. Tone & Wash - $50 No Haircut - $70 w/ Haircut - Toning hair creates dimensional shine and neutralizes unwanted brass. Additional charge for extra length and product used. Bleach & Tone (Highlight) - $150 No Haircut - $180 w/ Haircut - This is your option for all things blonde! Additional charge for extra length and product used. Root Retouch - $75 No Haircut - $95 w/ Haircut - Regrowth Color. Custom Color - $120 No Haircut - $150 w/ Haircut - All Over Color with Haircut. Additional charge for extra length and product used. Vivid Fashion Color - $60/hour - Consultation Required. Additional charge for extra length and product used. *Click or tap HERE to see photos of Andrea’s work.